Frederic S. Mishkin, "Financial Policies and the Prevention of Financial Crises in Emerging Market Countries," in Martin Feldstein, ed., Economic and Financial Crises in Emerging Market Countries (University of Chicago Press: Chicago, 2003): 93-130.... He is the author of The Economics of Money, Banking and Financial Markets, 8th Edition (Addison Wesley Longman, 2007), the number one selling textbook in its field. 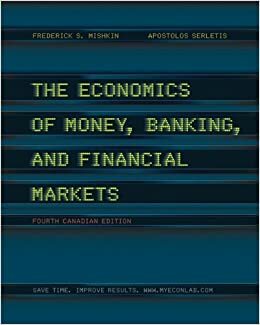 He is the author of The Economics of Money, Banking and Financial Markets, 8th Edition (Addison Wesley Longman, 2007), the number one selling textbook in its field.